Self-professed petrolheads will tell you they know everything there is to do with cars; but when it comes to testing that claim, can they really prove it? While most driving games and apps test your skills behind the wheel, Autocar’s new Car Name Game fully pushes your motoring knowledge. Spanning over four levels of expertise, the Car Name Game starts you off easy, asking you to identify some of the more popular and obvious models in the world of motoring. Meanwhile, at the other end of the spectrum, ‘Expert’ difficulty is for those only with almost perfect automotive knowledge, with models only the most die hard car fanatic will be able to label. I’d like to think I have a reasonable amount of motoring knowledge, but it seems even that isn’t enough so far to earn a perfect score on the toughest level of the Car Name Game. But I’ll keep trying, as it’s just one of those games that has you coming back to nail that revered 10 out of 10. The Car Name Game is designed in a simple but contemporary manner, much like most addictive mobile games these days as nobody on their iPhone or iPad wants anything too fussy. The images are sharp and the potential answers are big and bold, while large calls to action make navigation easy. 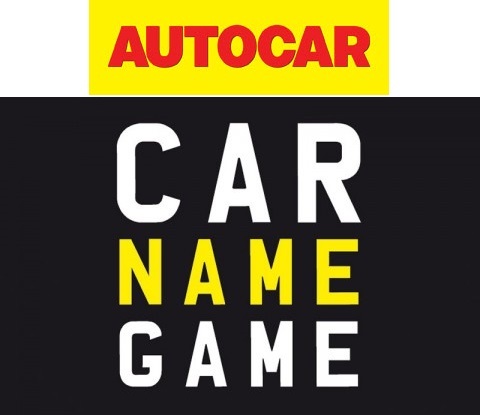 Autocar’s Car Name Game can be found on iTunes and can be downloaded for free on iOS only.